NaBloPoMo: Last meal. What would it be? If you knew that whatever you ate next would be your last meal, what would you want it to be? I have said before and I will say again that if I was stranded on a deserted island and all I had with me was a friend named “Wilson”, my thoughts, and one food it would have to be pizza. 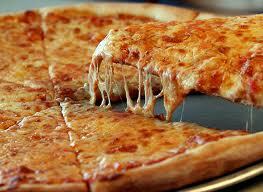 Pizza is the world’s most perfect food. It has all food groups on that cool pyramid that we learned about in school. Never-mind what the creepy lunch lady served us it always conformed to that dagnabit pyramid. With that being said, if I knew what my last meal would be it would have to be a large High Protein Land pizza from Moose’s Tooth pizza in Anchorage, Alaska. I know, I know, pizza is pizza right? Wrong. I have had a pizza pie in just about every state in the nation and noting compares to the Moose’s Tooth. If you don’t believe me, come on up to the Last Frontier and give it a try. Disclaimer: I do not work for Moose’s Tooth or any of its affiliates and I am not paid to promote them in any manner. I do not have family or friends working there and try if I might I can not become the mayor of Moose’s Tooth. Believe me I am trying. I guess if I was on my death bed or god forbid the execution chamber I would request pizza for my last meal. Well, unless I am on death row in Texas. They used to allow the guys heading to meet their maker, whomever that may be, to order whatever they wanted and the guards would make it up all fancy for them. Just recently, some nutcase ordered up an eight course meal of chicken fried steaks, a triple-meat bacon cheeseburger, fried okra, a pound of barbecue, three fajitas, a meat lover’s pizza, a pint of ice cream and a slab of peanut butter fudge with crushed peanuts. Prison officials said he didn’t eat any of it. So what happens? Like always, some politico, probably running for city council or something like that, raised a fuss and lickety-split last meals are history. Well, that’s that. At least in the Longhorn state. Lucky for most of us we can eat as we please and that equals just one thing–quoting the great Homer Simpson: hmmmmm pizza! If you knew, what would you want your last meal to be? Follow my news and updates on Twitter, my whereabouts on Foursquare and relationship status on Facebook. Or send me a telegram. Previous NaBloPoMo: What is my favorite part about writing?